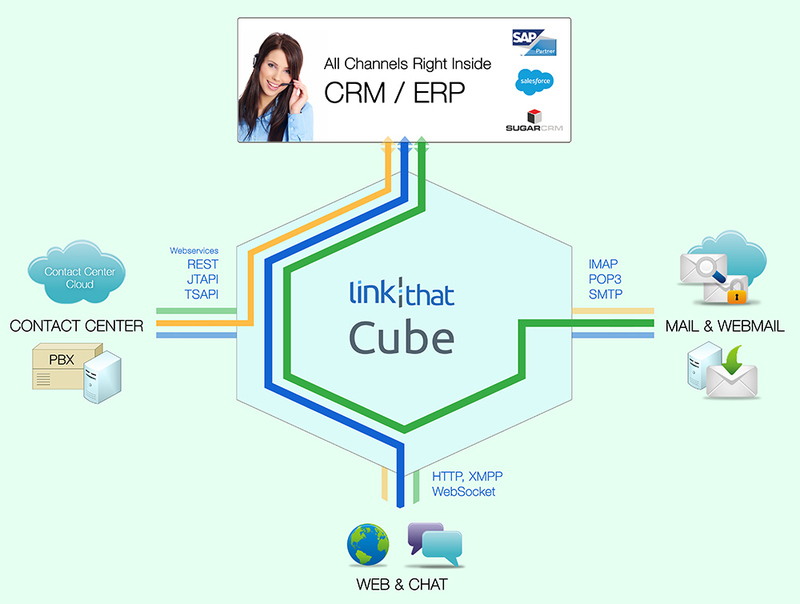 The link|that Cube is a CTI middleware solution that links your existing telephone system with your CRM applications. According to your needs different modules of the Cube are activated. More demos are available at our Youtube channel! The integration into your ERP / CRM system is the basic module. 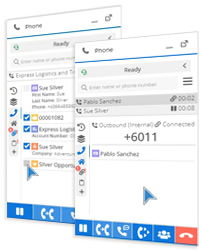 SAP CRM, Salesforce, SugarCRM and other solutions can be connected to a variety of telephone systems with our prepared interfaces. By combining voice and data your employees have the right customer information at their fingertips. Presence information is synchronized to prevent additional tasks to be pushed to an employee during an active call. We will gladly send you specific information for your telephony and software setup. Which combination would you like to hear about? The Cube integrates all contact channels such as telephony, email, fax, chat and social-media requests. Thanks to an automatic contact history, all service center employees are able to respond to customer inquiries with maximum performance. Multi session capability ensures that time-critical actions are automatically detected and handled with highest priority. Thanks to real-time evaluations you can create statistics over all contact channels. A connection to the SAP Business Warehouse is also possible. 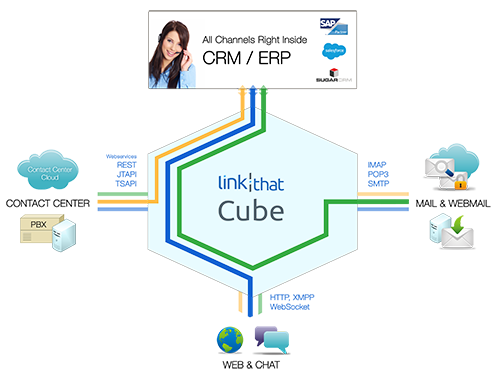 With link|that Cube we ensure that employees can use all necessary telephony functions right inside the CRM software. The LinkThat Softphone is your central communications hub. It covers all telephony features, while also combining all interfaces to third-party serivces. In our softphone, SAP CRM information meets Skype calls, for example. Integration von Telefonie, Chat und E-Mail zertifiziert.